Soundbar installation across South Brisbane is providing South Brisbane residents with higher audio quality in households and businesses. A new feature on the market, soundbars are the answers to your TV audio prayers. 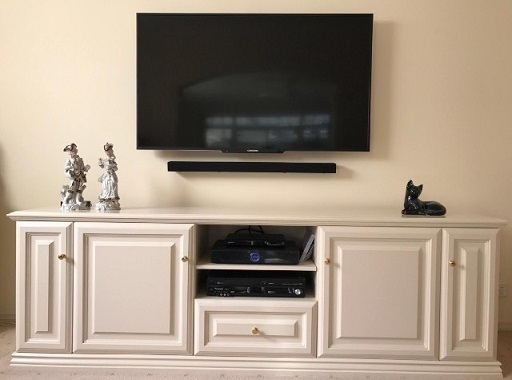 Not only are sound bars a simple way to improve your TV's audio and enhance it to new and exciting levels, they also take up far less space that surround sound systems and are the perfect accompinament to wall mounted TVs. 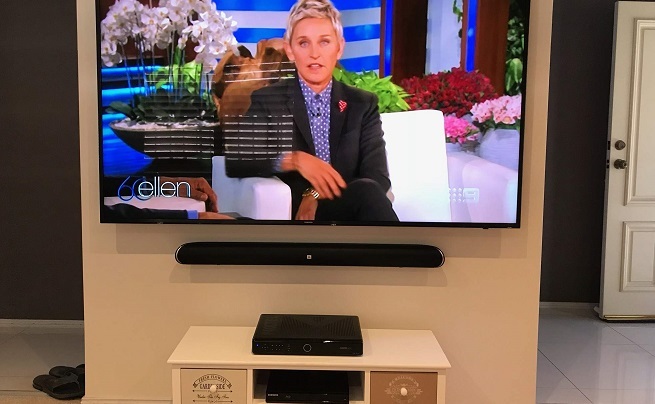 Sound bars not only make your TV's sound quality better in South Brisbane, they also make the most of your space by doubling as a stereo speaker. By enabling Bluetooth capabilities, your sound bar will excellently play music from your phone or laptop in a far more impressive manner than your regular TVs speakers, not to mention the speakers of your laptop or phone. 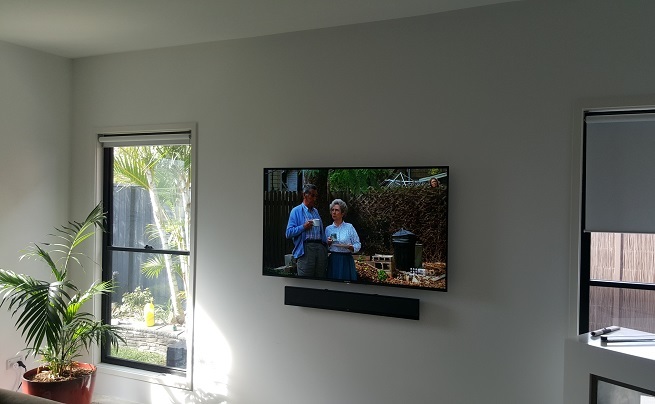 Sound bars are wall mounted in a similar fashion to TV wall mounting - a service that we also offer across South Brisbane and the wider Brisbane area. This means that any cords are hidden within the wall cavity and out of plain sight. This automatically makes for a more visually appealing set up. Unlike surround sound systems which, don't get us wrong - are incredible! Sound bar installations don't require cabling to be run throughout a room. This is particularly beneficial for apartments or smaller residences or businesses where space may be an issue. 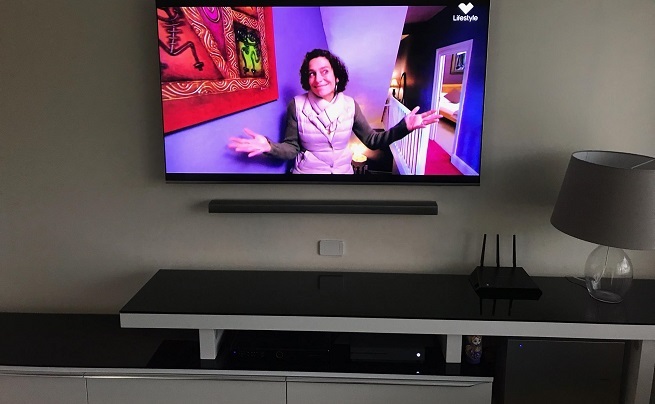 This alternative to surround sound systems is one of the newest TV features we have seen on the market, sound bar installation, and we can see with the residents of South Brisbane are loving them so much. Call one of our friendly South Brisbane technicians today and discover how a sound bar could enhance your entertainment experience!